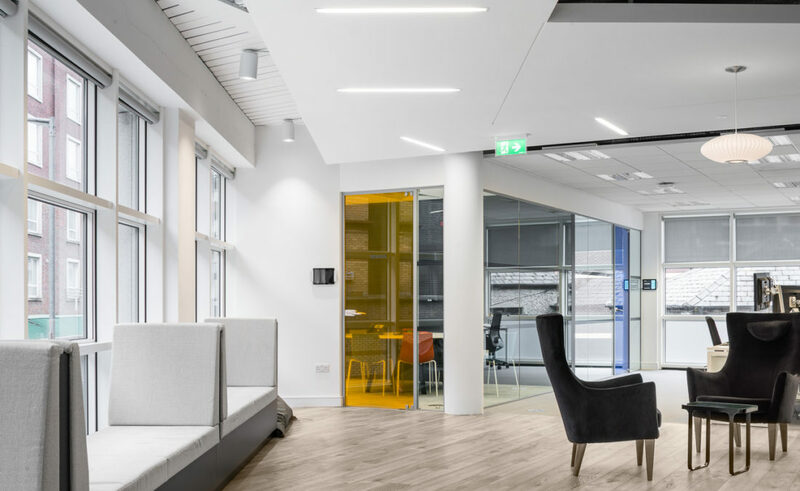 Beaux Lane House, Mercer Street Lower, Dublin 2 MOLA was delighted to be engaged by T&I Fit-outs in this design and build contract for Quantcast Ireland. 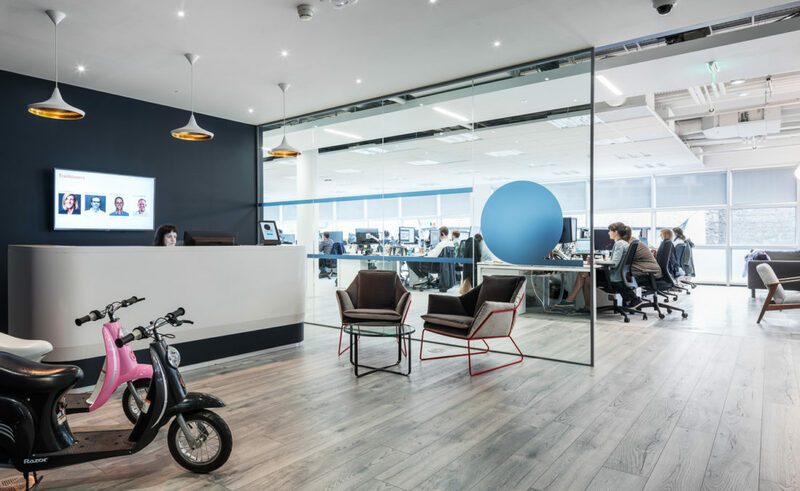 From appointment in April this fast track project created an amazing office environment within a very compressed and ambitious programme. 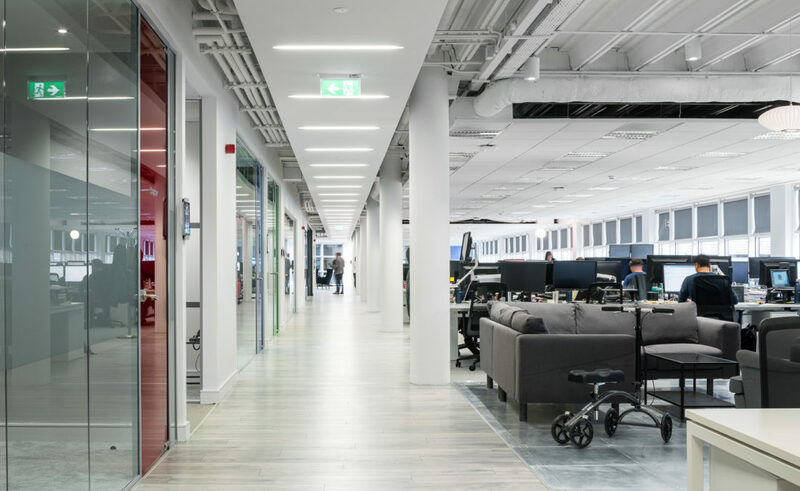 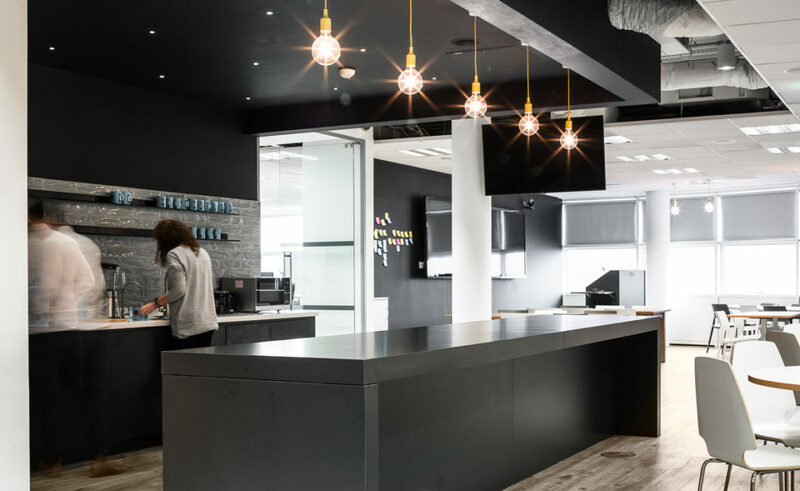 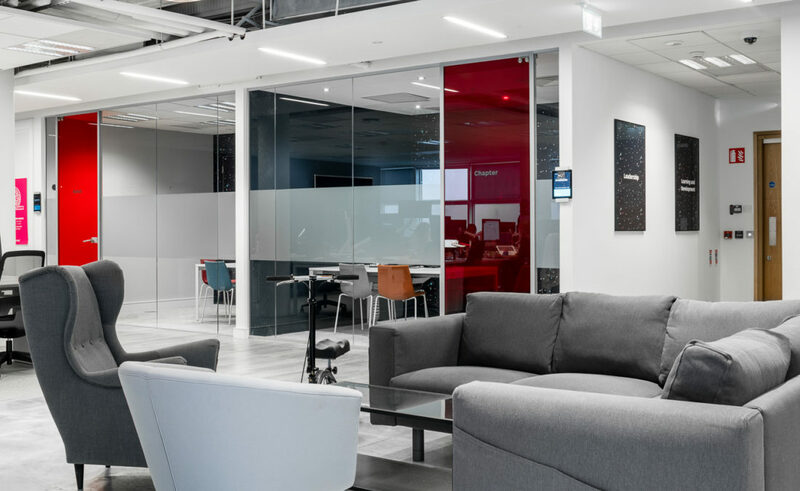 Predominantly located on the first floor of Beaux Lane House the design comprises open plan offices with workstations, meeting rooms, breakout space, microkitchens and support services. 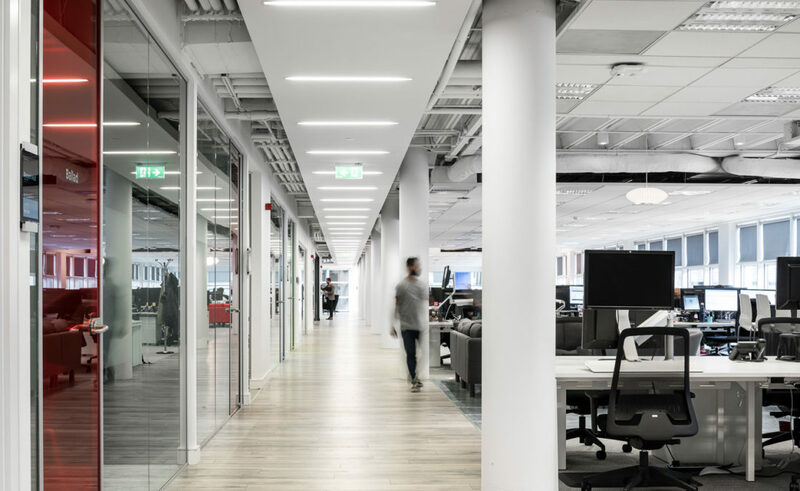 The partial fit-out of the ground floor 350sqm accommodates a training room and overflow workstation space. 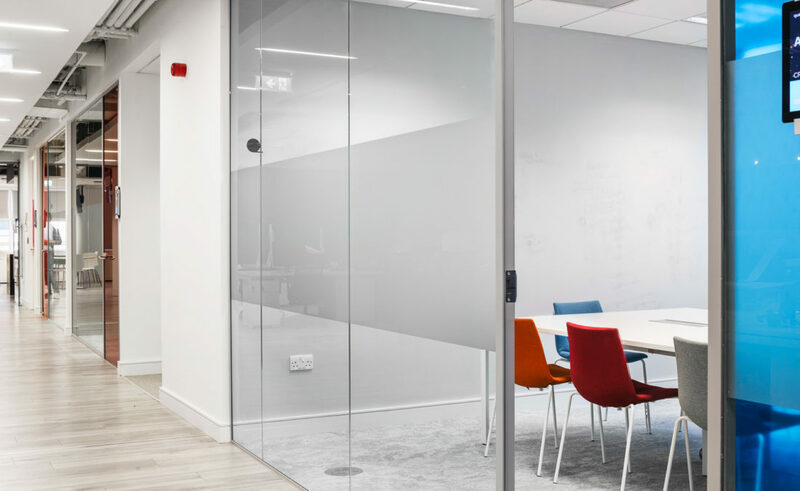 The design is bright, sharp and efficient, with flexible monitor arms, coloured glass, timber runway and exposed ceilings.